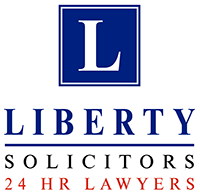 Liberty Solicitors Asylum and Immigration team are recognised experts in their field. We have vast experience of every Asylum and Immigration issue that you may require advice for. We pride ourselves in providing honest, reliable and accurate advice at the outset and we will assess the merit, strength and weakness of your case and advice you on the best course of action and submission of the correct application to the UKBA. We are the largest providers of Asylum and Immigration Legal Aid advice in the East, West Yorkshire and Humberside procurement area. We are proud to confirm that we have an excellent and unrivalled track record of success at appeal at the Immigration and Asylum Chamber and challenging UKBA decisions by way of Judicial Review on refusals of permission to stay in the UK in the High Court and the Court of Appeal. Legal aid is only available for Asylum applications and Immigration Domestic Violence applications. All other advice is on a fixed fee basis. Overstayer? Appeal or Bail? Deportation?